Spot gold was down 0.6 per cent at $1,306.71 per ounce at 12:22 GMT, after having risen for the previous two sessions. 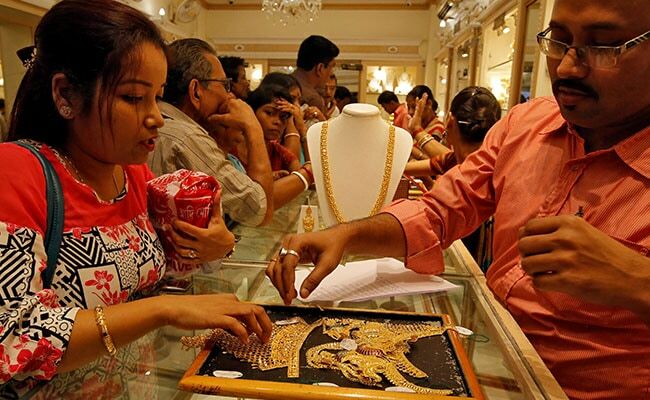 Spot gold was down 0.6 per cent at $1,306.71 per ounce at 12:22 GMT. Gold fell on Monday as investors looked to the safety of the dollar to stave off risks from the US-China trade spat, as concerns mounted over a slowdown in global growth. US gold futures also declined 0.6 per cent to $1,310.70 per ounce. While gold is supported by the Fed's policy, prices will likely remain range-bound until there is clarity on the trade front and US government shutdown, OANDA analyst Edward Moya said in a note. Investors' focus will be back on the trade talks between Beijing and Washington this week as a delegation of US officials travels to China for the next round of negotiations. US President Donald Trump said last week that he had no plans to meet with Chinese President Xi Jinping before a March 1 deadline to achieve a trade deal. Also, in the latest development surrounding political gridlock in Washington, talks on border security funding collapsed after Democratic and Republican lawmakers clashed over immigrant detention policy as they worked to avert another US government shutdown. "Global growth worries, absence of positive signs in US-China trade negotiations and reduction in the euro-zone growth forecasts have laid a strong foundation for gold," said Benjamin Lu, an analyst with Singapore-based Phillip Futures. Among other precious metals, palladium fell 0.9 per cent to $1,390 an ounce. Spot silver dropped 0.7 per cent to $15.71, while platinum was down 1.3 per cent at $788 per ounce, after touching its lowest in three weeks.